Hi lovelies !!! the weekend is over .. long Mondays have kind of taught us to get habituated to working days, and today is a perfect Tuesday. Well ,there is still a ray of hope that leaves big room to rejoice .Yes Diwali is not far!!! How about showing some lipstick love this season? 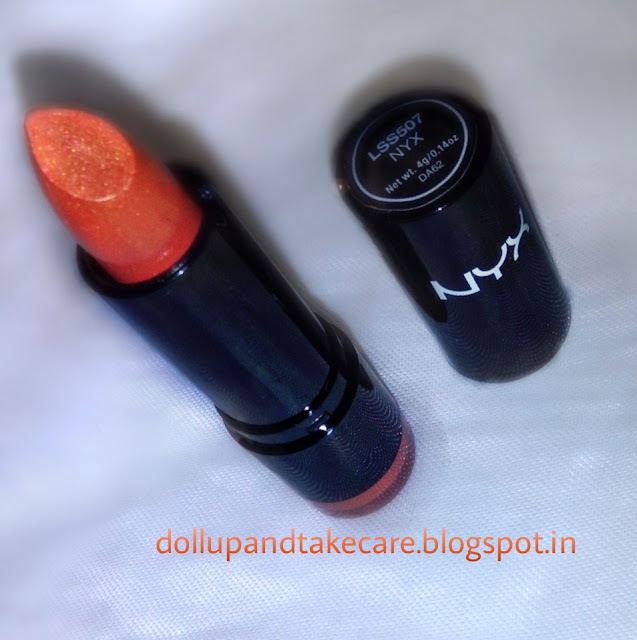 Have guys stored all your lovely orange lippies for Halloween and bon fire beach parties? How about some lovely orange that can be a perfect festive season wear? 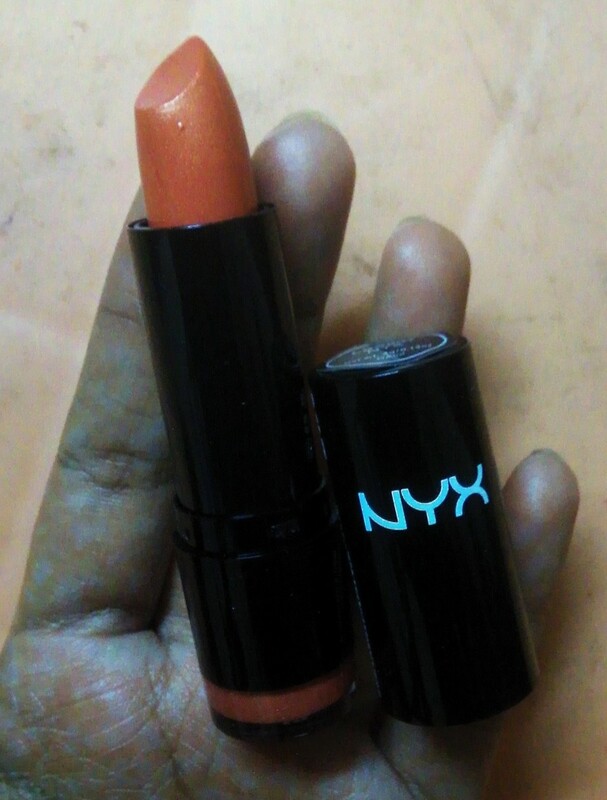 Yes I am talking about NYX Round Lipstick’s unique orange shade NYX .This is shade no:507 and comes with lovely shimmers.I am not a shimmer lippie lover but, I admit shimmer does go pretty well with traditional during festive seasons. 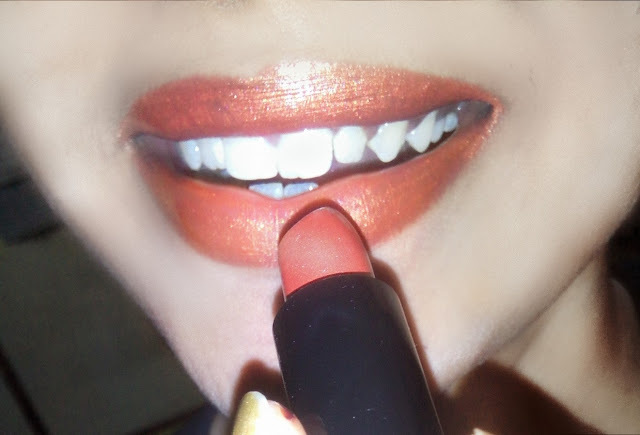 This shade is not totally bright; more like a tangerine or dark orange that's jazzed up with golden shimmer. Is Travel friendly but not much eye candy. But it is very convient because you don’t need to open the lid the bottom tells you the colour. 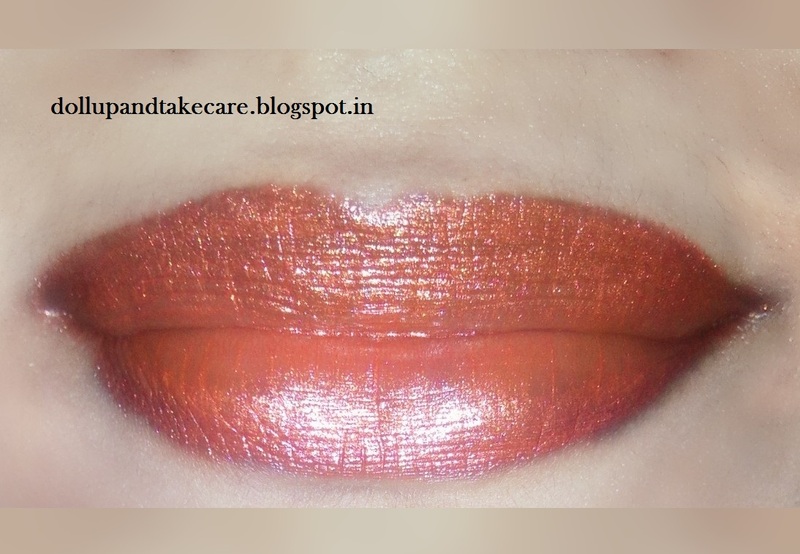 It is insanely pigmented and generally very good quality but creamy nature lacks a bit longevity.The shade 'NYX' is a opaque and ultra creamy shimmery bright apricot orange with copper undertones. It makes a statement. I exfoliated my lips moisturized them well and applied it. 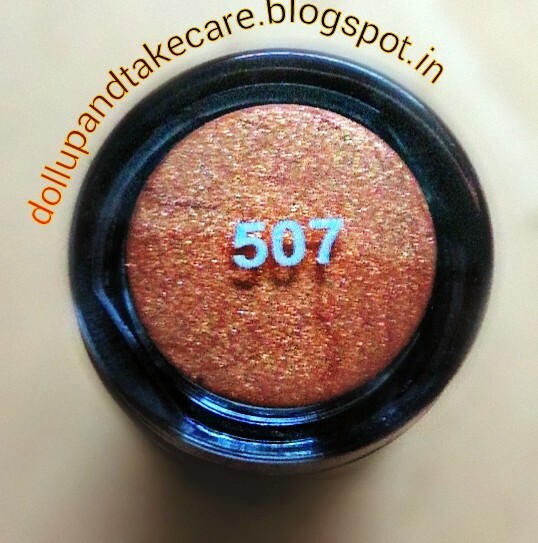 It gave insane pigmentation and opaque finish. It glides very smoothly as it is very creamy . For My Lips it lasted for good 4 hours but faded evenly. A friend of mine who used it with chappy lips the lipsticks settled in fine lines.I would preffer this much as spring wear or winter morning wear. In humid climate it does melt a bit.